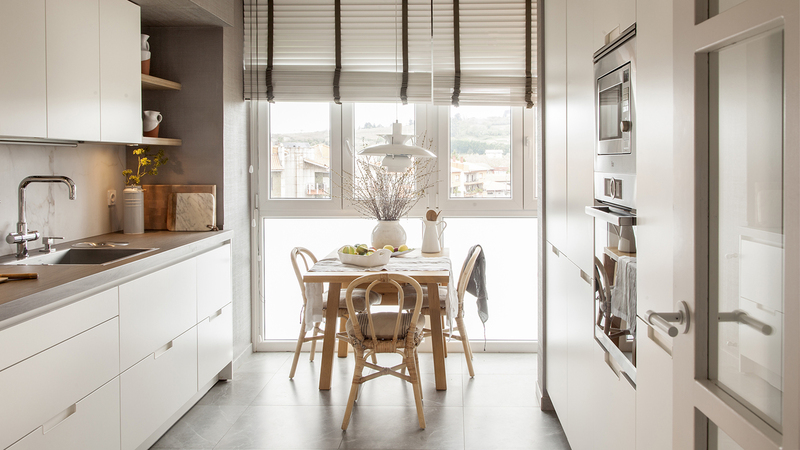 Kitchen cabinets designed by Santos help to create highly functional spaces for everyday tasks, which are comfortable and delightful for enjoying the company of loved ones. In this project, the kitchen is directly connected to the living room through a glazed sliding door, which makes it possible to separate the two rooms to ensure privacy without losing brightness or visibility. The shutterless window affords endless views of the outdoor garden, defining a discreet and elegant interior design. 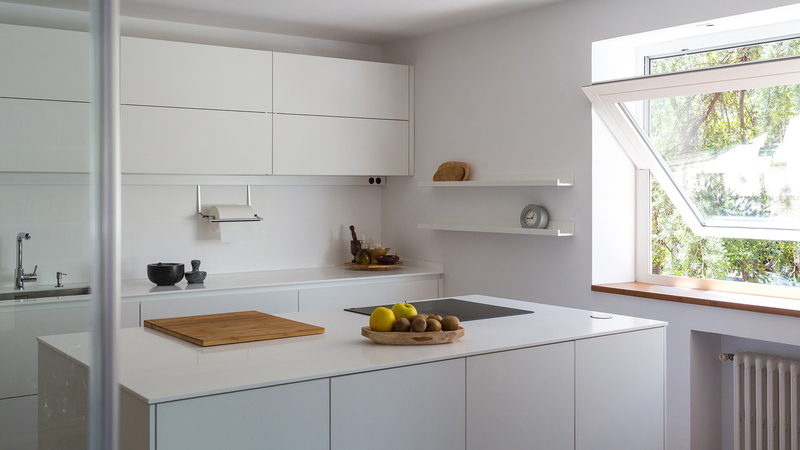 The kitchen units—with a LINE-LAH design by Santos—are laid out in parallel, with a central island where the cooking area, a large work surface and multiple storage solutions are found. 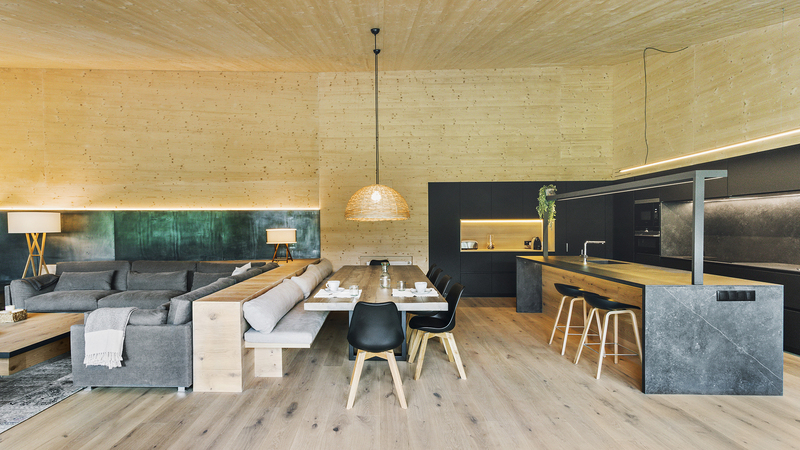 The daytime living areas in this house are comprised of the living room, dining room and kitchen with island within a roomy, open space that remains visually continuous. 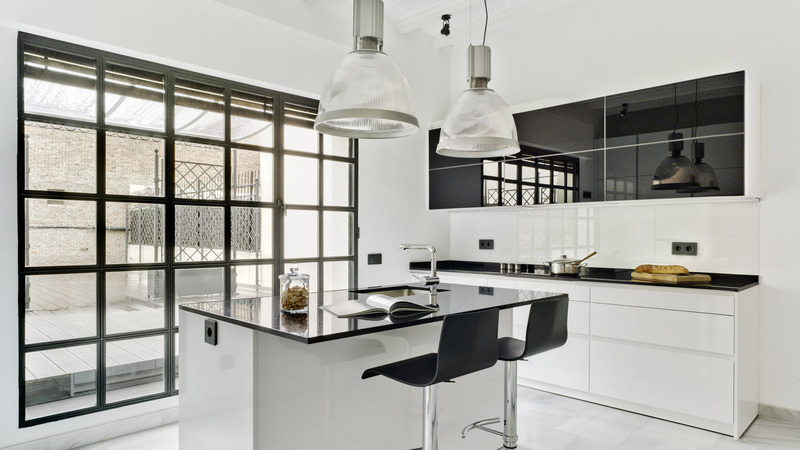 In the kitchen, the Silk Black LAH LINE units by Santos are perfectly in line with the project’s guiding principle: to create a timeless environment where traditional elements seamless blend together with contemporary ones. The units with a minimalist design, with their plain, dark fronts, subtly merge into the high wood-clad partition walls, defining a space with character and personality without losing an inch of usable space. The kitchen is one of the key areas in this flat, as the owner loves to cook. A window visually connects it to the entrance hall and a floor-to-ceiling glass door was installed to let natural light stream in. The units—with a White Seff MINOS LINE-E design by Santos—are laid out in parallel to facilitate tasks, keep trips to a minimum and make the most of the available space without going overboard. The kitchen with island in this stately home is found in a room that connects to an outdoor terrace by means of a large window. The units designed by Santos, with their minimalist look and plain fronts, seamlessly blend into other more classic elements such as the marble flooring or wooden beams. The result is an open, bright and cosy atmosphere—full of serenity and harmony.